Samsung has many devices in the budget range, but the issue with them is that they don’t offer much RAM or internal storage at the price they come. The smartphone market in India has become splendid; you can buy a Snapdragon chipset powered processor with 2GB RAM and 16GB storage for as low as 7K. While the Samsung Galaxy J2 comes with a 1GB of RAM and 8GB internal storage. It is powered by an Exynos 3475 chipset, which isn’t a powerful phone. Although, Samsung fans shouldn’t worry much, there’s always a way to make the average processor on your handset give a good performance. In this case, we are talking about the budget J Series handset named Galaxy J2. We have some tips that’ll help your device to speed up its performance considerably. Note: The time we have mentioned in front of every task is a maximum limit. You could do the whole procedure in less than 5 minutes. Or for the first time smartphone users, it may take a lot. But rest assured it would be worth it. The first thing that you need to do on your Galaxy J2 is to identify all the unnecessary apps. Because your device doesn’t have a large storage space and it sure doesn’t have a good RAM support. Your phone’s performance will suffer quite a mouthful if it has large apps. So clearing down the clutter is one option to be efficient as well as clear up more space on the device. The performance would definitely increase as background apps won’t be there to drain the system out of its processing power. There is one more thing you can do to clear out the storage woes; clean up the system cache as well as of the apps that you use most like Facebook, Twitter, and Google Chrome. These apps store a lot of temporary content; you can install a small CCleaner app and use the one-tap functionalities to clear out the cache. Or you can go to individual apps in the system settings and clear out the cache individually. The choice is yours! The widgets on your home screen can be quite gruesome to the system. The same thing that is helpful to you is proved to be bad for the device as they take a part of RAM. If you have any widgets running on your Galaxy J2, then we recommend you to remove those widgets. Although, you might feel strong for the widgets, so consider disabling them as they would totally help the device regain its processing power. There’s no harm if you have a 1-2 active widgets, but adding few numbers would really slow down the system. There are animations all over the system and with Material Design being implemented on the Android Lollipop you can surely expect a lot of animations on any custom skin based on it. Since, the Samsung Galaxy is based on the Lollipop 5.1 you can see a lot of animations. But ultimately those animations are a waste of a time and resources. Removing those animations would only allow the system to work at its peak performance. But do make a note that you need to enable Developer mode to disable those animations. You can do that by tapping on Build Number under About Phone option in the Settings area. Tap at least five times and you would have a developer access. Now in each case; Window animation scale, Transition animation scale and Animator scale settings, select the animation off option. After doing so, you should notice some overall improvement in responsiveness of the system. This is your last resort! Even after following above points, if the system doesn’t show the performance increase that you needed, then you might have to reset the device. A factory reset of the device would erase all your data and device settings the way it’s been when you turned on the phone first time. 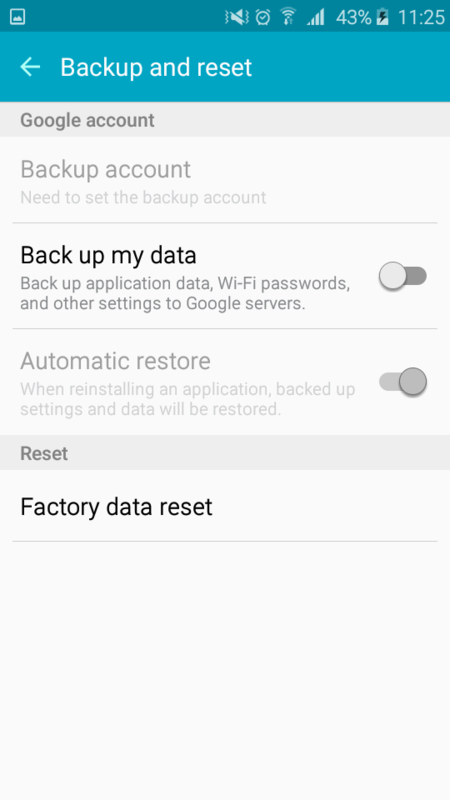 Before you do a factory reset, make sure to create a backup of all your data, especially the contacts and photos. While there are many ways through which you can take a backup, but we suggest you go with SD card option as its one of the easiest ways and Galaxy J2 supports it. These are few tips that would make your device perform all the way up to its maximum potential. If you are looking for the battery saving tips on your Galaxy J2, then we have got you covered on that too.